This summer, LCWA will help Santa’s Village celebrate its 60th anniversary with a Chicago-area media and influencer outreach campaign designed to showcase the amusement park’s long-standing tradition of creating life-long memories for local families. We kicked-off the celebration by announcing the planned addition of Santa Springs, a family-friendly, interactive water play attraction within the amusement park. News of the coming attraction was featured on NBC 5 Chicago (WMAQ-TV) and in the Elgin-Courier News and Lawndale News. Opening this summer, Santa Springs marks Santa’s Village’s largest expansion ever and will join the park’s list of premier attractions, including thrill rides, kiddie rides, games, shops, food temptations and more than 200 animals. 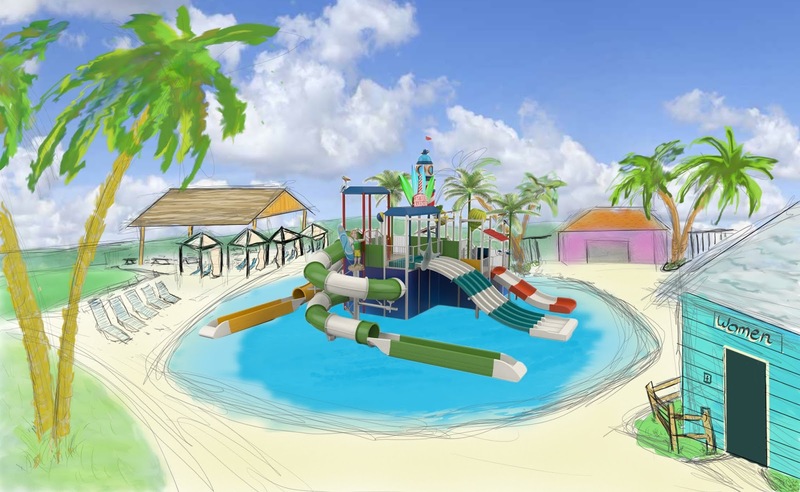 The water experience will feature zero-depth entry to a 10,000 square foot, 8-inch deep wading pool with a two-story interactive water play structure. 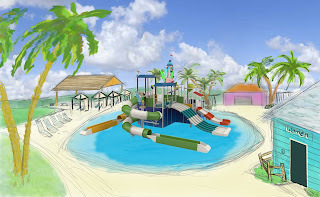 The water play structure will include dozens of water toys with two giant tipping buckets and six water slides, including a 50-foot long, four lane kiddie racer slide. Stay tuned in the coming months for more exciting announcements on the celebration of Santa Village’s 60th anniversary! 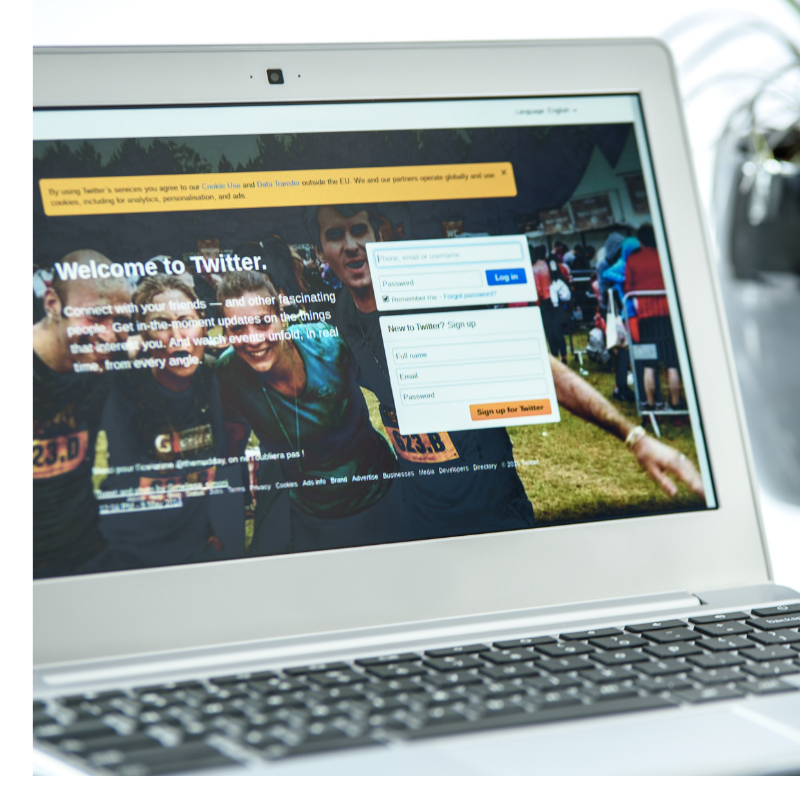 pages, increasing social followings, promoting new products or services, highlighting spokespersons and more. Partner with an influencer, blogger or media member, who has a social following and reaches your target audience, to serve as the host. This is a good way to increase participation, excitement and credibility. Delegate roles and responsibilities, such as having the host tweet questions, the client’s handle share information and a client expert/spokesperson respond organically to participants’ questions from his or her personal handle. Designate a simple, catchy hashtag to tie the conversation together and get across the campaign message. Use the correct tone, too, such as branded for a product launch versus general for an awareness campaign. Promote the chat on social media (on client, host and expert accounts) with engaging content and clear direction on how to join. Offer a chance to win prizes to get a nice boost in participation. Draft a script of numbered questions and responses, but remain flexible in order to answer incoming questions and remarks. Keep the tweets short to increase retweets and responses. Run the chat for one hour or less, and choose a time when your target audience is active on social media. Use a hashtag tracking site to make following the chat easier and for gathering post-chat metrics. Set up a conference call with anyone on the client-side who needs to provide approval on responses or wants to follow the chat, and/or to help flag tweets for spokespersons to respond to. Answer participants’ questions quickly and look for ways to engage with the rest of the chat – including asking follow-up questions or sharing an acknowledgement. Give a clear closing message and site referral, and don't forget to thank everyone for participating to end the chat. We eagerly await the annual in O’Dwyer’s PR agency ranking each year as a barometer of our firm’s standing in the industry. This year, we were pleased to be recognized as a key presence in our city and a leader in the categories we love. Home is where LCWA’s heart is. Once again, LCWA has been named one of the top five independent agencies focusing on home and housewares. This is a testament to the great work provided by our home PR team to our longtime clients. The home category has been a specialty of LCWA for over 30 years, and our team has a true passion for telling stories about how our clients make consumers’ home lives better. While the method for telling these stories continues to evolve, our connection to these messages remains the same. Sweet home, Chicago. LCWA also is the number eight PR firm in Chicago, according to the listings. 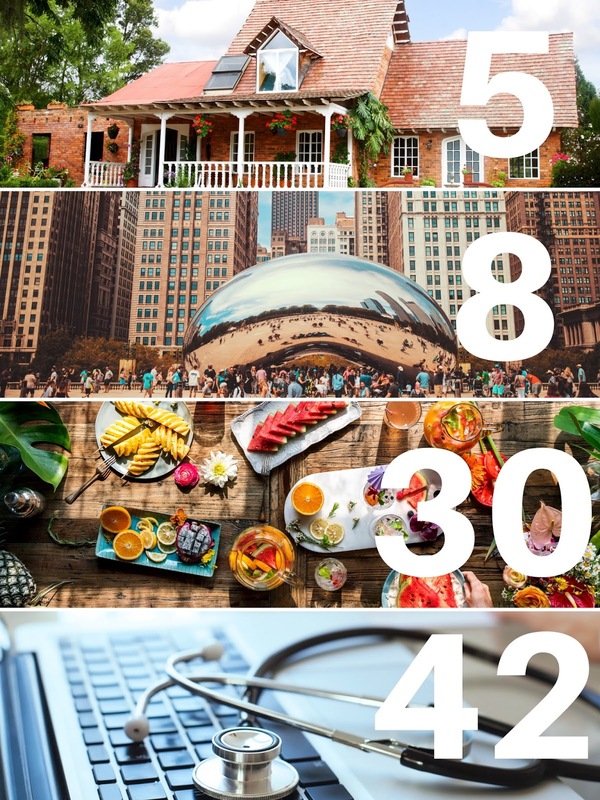 With our downtown presence, local insights and strong media contacts, we love helping Chicagoland clients build awareness, engagement and sales. Our position as a top Chicago agency also places us in the top 12 for Midwest firms. Foodies, unite. We are happy to be a top food and beverage firm, landing in the top 30 of agencies across the country. Our clients keep us awash in delicious recipes and cocktails, and you won’t hear us complain! Healthcare on the rise. As one of the top 50 firms in the healthcare category nationally, we are proud to be making an impact and increasing our presence in this important category. Our healthcare PR team loves driving awareness of disease prevention and treatment among the audiences that need it most. Congratulations to all of our peers also earning a spot on the O’Dwyers list – especially our PRGN network partners at Landis Communications in San Francisco, Buchanan PR in Philadelphia, the Hoyt Organization in L.A., and Bianchi Public Relations in Detroit. We are proud to be in such great company! 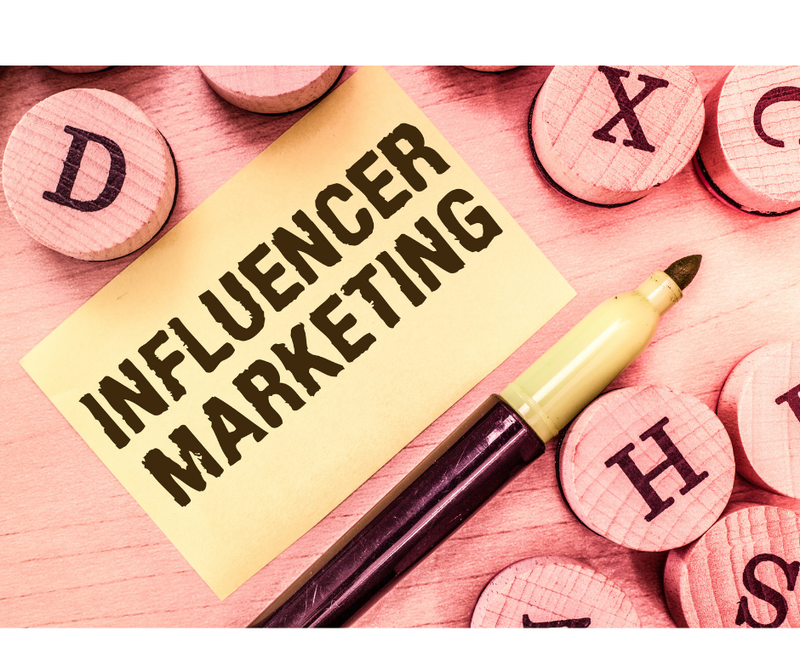 As this industry (and the world) continues to progress in the digital age, influencers are being tapped more than ever by brands to help share their key messages, build awareness and generate sales. While the industry is ever-evolving, there are definitely dos and don’ts that will stand the test of time. I’ve worked with influencers on a variety of campaigns for multiple clients; from solely social campaigns, one-off blog posts and even vlog campaigns on YouTube. Over the years, I’ve picked up a few best practices when creating a multi-faceted influencer program – or spokesblogger program. Check out my top tips for putting together successful spokesblogger programs for your clients. Communication – Open communication will lay the groundwork for the influencer-agency relationship. Be transparent with the influencer you’re working with about what is expected of them upfront. Have a call at the beginning of the partnership to go over things like style, content, etc. so that there are no surprises later on. Additionally, establish the best form of communication throughout the partnership and touch base regularly throughout the process. This way, you can forward real-time updates to your client. Establish a plan – In the same vein, it’s vital to establish a plan and timeline in the early stages of a partnership. Create an ideal plan with specific deadlines and materials, share it with the influencer and follow the plan throughout the partnership. Additionally, establish the logistics of turning in materials to alleviate any last minute confusion. Stay organized by tracking every element the influencer delivers in excel (or your preferred platform), this way you can go back and reference anything the client may have a question on. Know your client– It’s important to know what the client expects to get out of this relationship. Is it sales for a product, awareness for a brand, clicks to a website, followers on a social channel, or something else? Talk about this with your client and then relay this information to the influencer. Give the influencer as much inside information as possible, because when they understand the purpose and expectations, they will be able to create the perfect program. Get creative – This can sometimes depend on the client you’re repping, but don’t be afraid to be creative in the development of the program! Create a fun and enticing theme that will make an influencer interested in the brand. This will help your program stand out from others. Additionally, allow the influencer their own creative freedoms. It’s OK to stick to a pre-devised plan, but influencers tend to appreciate at least some creative freedom in the process. At the end of the day, creating an immersive spokesblogger program comes down to respect and mutual understanding between the influencer, agency and client. When all parties are on the same page, the program will come together seamlessly! It may not feel like it, but spring is here – a great time to focus on improving sleep! To drive awareness of healthy sleep and position client the American Academy of Sleep Medicine (AASM) as the go-to source for information, the LCWA health care and social media teams helped the AASM showcase its expertise around daylight saving time – where the lost hour of sleep can lead to serious issues – and improve sleep health around the globe on World Sleep Day. During the daylight saving time campaign insight from AASM experts helped consumers prepare for the lost hour of sleep in the days leading up to “springing forward.” Media outreach drove AASM quotes and tips in outlets such as CBSNews.com, Bustle and the Toronto Sun. During an influencer component, top family bloggers shared online content about the AASM’s sleep duration recommendations and its nifty Bedtime Calculator. On top of that, engaging content and an infographic shared on AASM social media channels helped followers recover from the time change. To continue the momentum beyond daylight saving time, LCWA leveraged the AASM’s pedigree in the sleep community to collaborate with the World Sleep Society in celebration of its World Sleep Day. 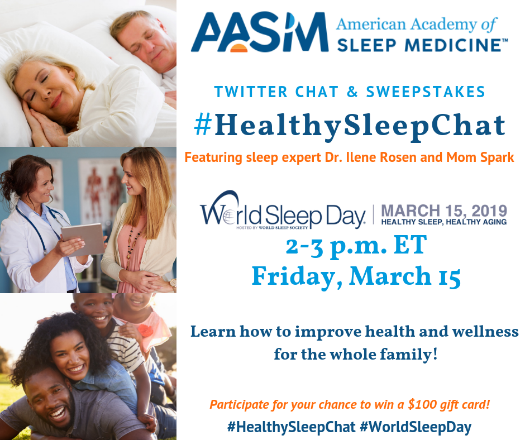 On World Sleep Day, the AASM hosted a #HealthySleepChat on Twitter with a popular blogger and AASM Immediate Past-President Dr. Ilene Rosen. 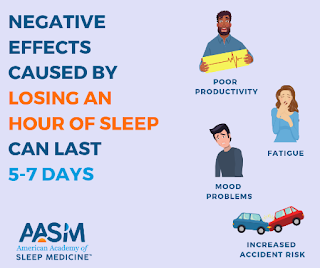 The interactive chat, which was listed as an official World Sleep Day activity, saw high levels of engagement, helping the AASM establish itself and its messages in the crowded World Sleep Day conversation. To learn more about sleep health from the AASM, visit http://sleepeducation.org/.